This Amblers AS251 work boot is lightweight and flexible; offering safety, foot support and comfort is the perfect choice for a wide range of professionals. 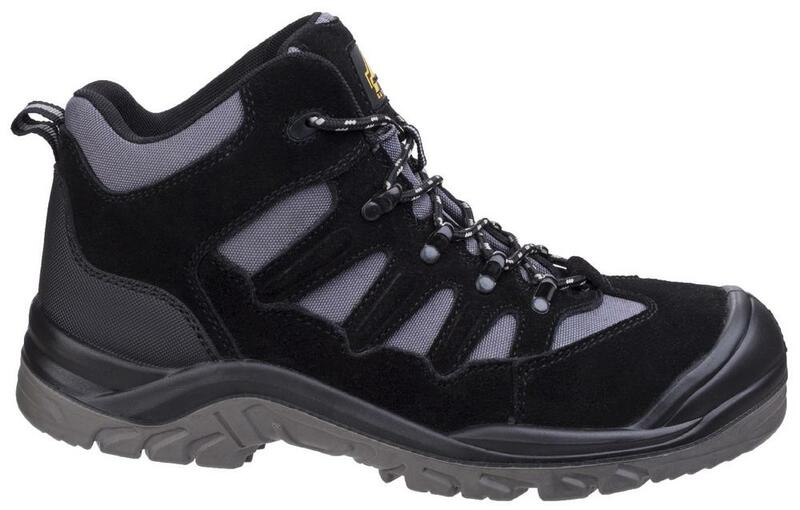 Metal D-ring and industrial strength cord lacing. Breathable moisture wicking mesh lining. 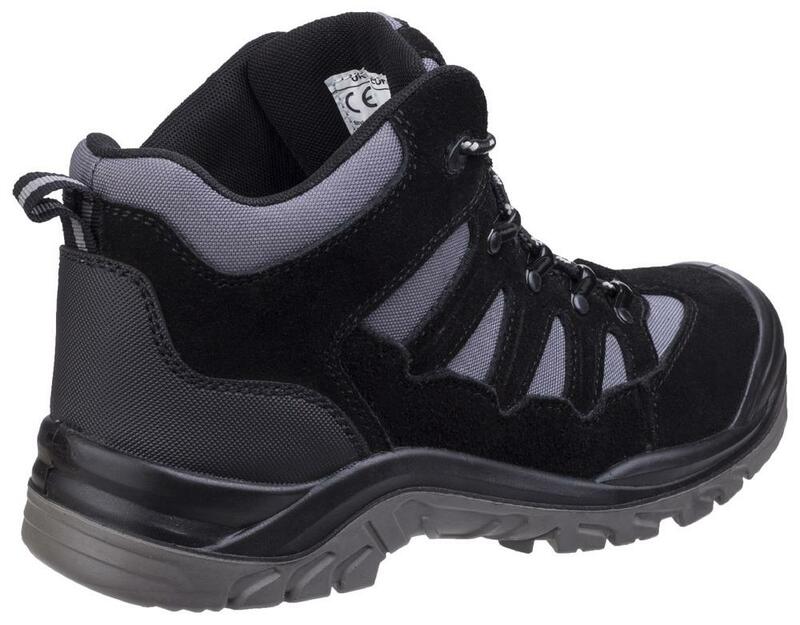 Steel midsole penetration resistant to 1,100 Newton and Steel toe cap protection tested to 200 joules impact. Dual Density injected PU outsole: exceptional abrasion resistance and ideal for environments where oils and solvents are used. 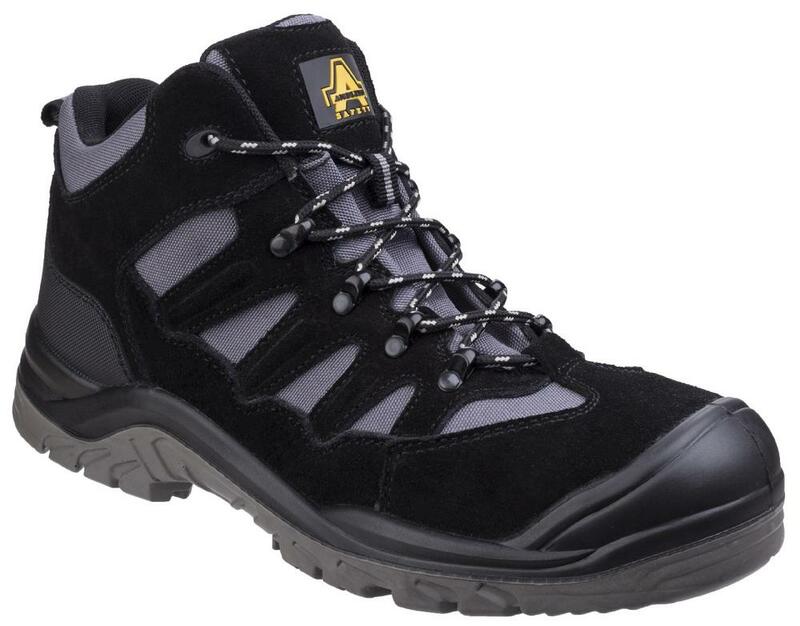 Amblers AS251 Revidge Safety Hiker Boots conforms to: EN ISO 20345:2011 S1-P SRC. Conforms to: EN ISO 20345:2011.